"Merchants Landscape Services are very responsive to our questions and directives. Their irrigators are knowledgeable with repairs, maintenance, and strategies for increased performance." "Merchants Landscape Services has the capabilities to meet and exceed all the specifications of our contract. We have been so pleased with their services that we recently renewed our contract for another five years." "Merchants management team is very responsive during both working hours and non-working hours. Emergency calls are prevalent in our city and Merchants makes sure they are solved or completed in a timely manner." "What impresses me about Merchants Landscape Services is the immediacy with which they respond to our needs. Deficiencies are handled immediately and professionally." "We have worked with Merchants Landscape Services for 10 years now and their professionalism, attention to detail, and quality of work on projects are the reasons we will continue to do business with them." "When asked why we continue to do business with Merchants Landscape Services the answer is simple, no project, or issue, is too big for them and it is always handled in a timely, professional manner." 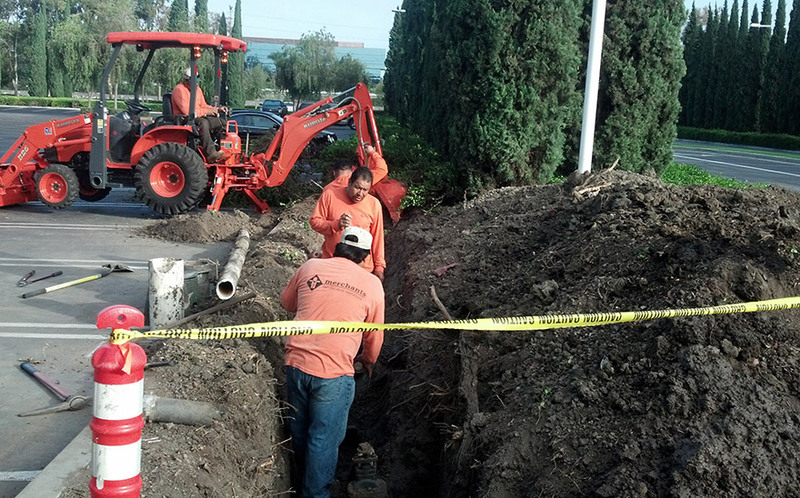 Municipal landscape design requires the use of many public resources, as such, Merchants works within the framework of local water regulations. 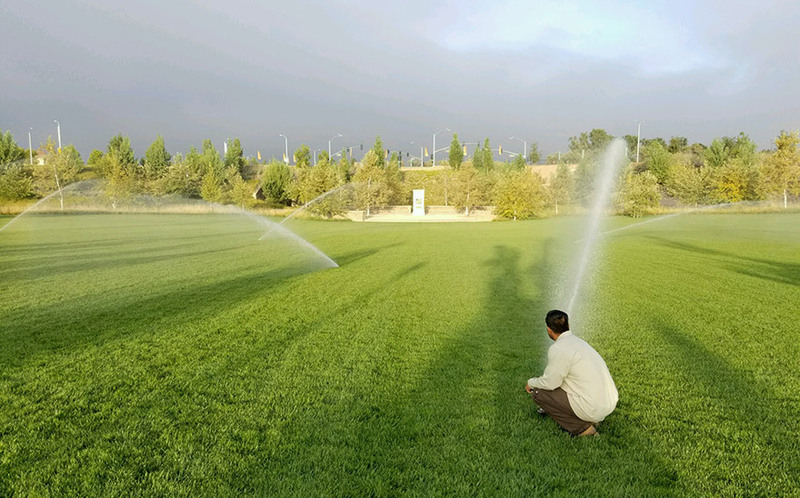 We install and implement smart irrigation and water management strategies that will keep clients properties looking great without overuse of available resources. Our staff are trained experts in a wide range of drought-resistant plants that keep landscapes blooming while managing the water usage restrictions in order to reduce costs for our clients. We consistently monitor water usage data in order to make projections and calculate future alternatives. Because the cost of water is typically one of the highest utilities a client will face, we do everything in our power to conserve the limited resources our state has.